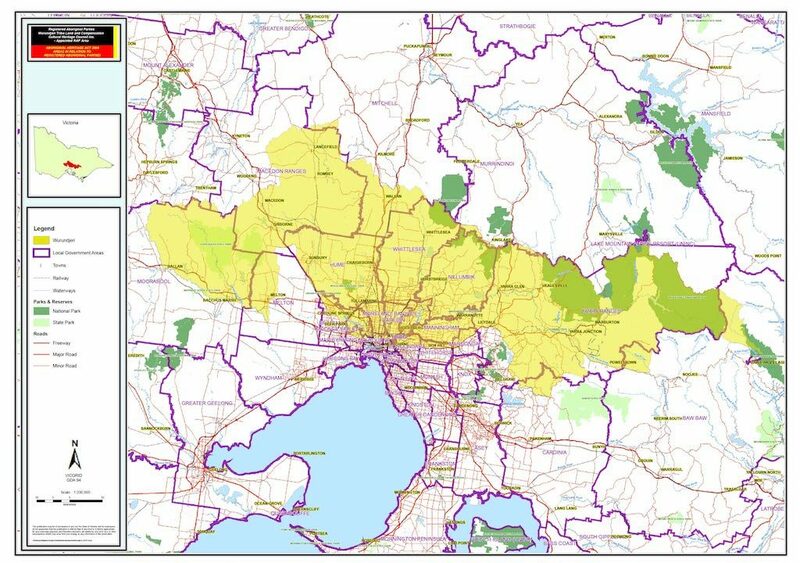 Our organisation is a Registered Aboriginal Party (RAP) for a large area around Melbourne. See the Boundary Map below for the officially recognised area. Under the Victorian Aboriginal Heritage Act 2006, RAPs have responsibilities for the protection and management of Aboriginal cultural heritage. As a statutory authority, we engage with a large variety of stakeholders including the development industry, local government, state government, and state government agencies. We evaluate Cultural Heritage Management Plans within our RAP area. We do so in close cooperation with Aboriginal Victoria and all relevant stakeholders. Wurundjeri provides advice on applications for Cultural Heritage Permits, Cultural Heritage Agreements and Protection Declarations. Our Cultural Heritage Unit also provides Due Diligence assessments, signage and interpretation, and can assist in other matters of compliance with the Act.